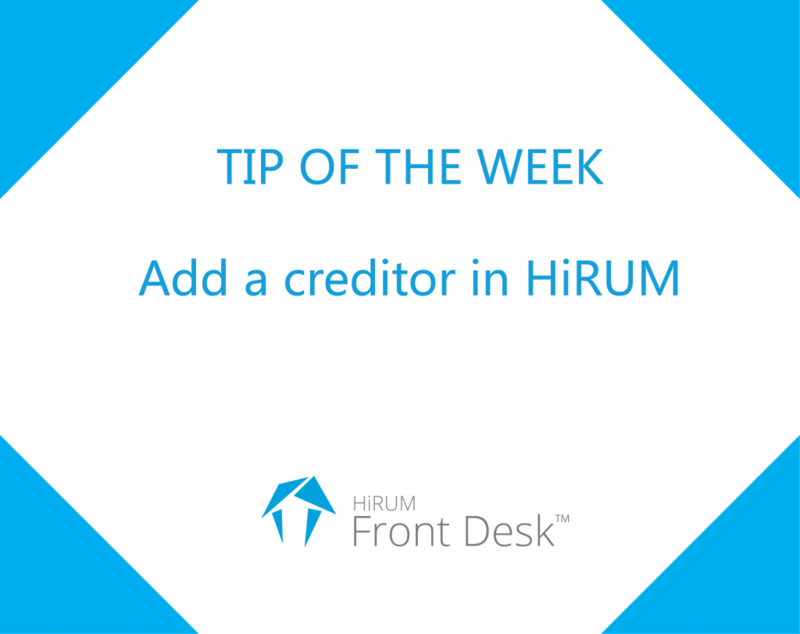 The following tutorial will assist when you want to add a creditor in HiRUM. Select the Creditors icon, and click on to the Insert button to add a new Creditor. Choose a code and then complete the creditor details. Complete their business name, address and contact details, enter a contact name, salutation, ABN number and email address. Tick the box if you wish to email a statement to the creditor. Choose the second tab, called Banking. This is where you can enter the bank details of the creditor to be able to easily transfer their funds or if they still wish to receive a cheque leave the Method of Payment as Post. Select the third tab down called Messages. This is where you can place a message on the creditor statement. Place a tick into the white box beside Replace Global Message with this one to ensure the message that relates to your creditor prints successfully on their statement. There is also a general notes area where you can keep information that relates to this creditor. After all the Creditor information has been completed click on to the Okay button.